The Chelsea trap is one that many managers are likely to fall into this season, a dark hole of almost irresistible suction, strong enough to fool the best (ie me). The names are attractive – Saloman Kalou, Fernando Torres, Nicolas Anelka, Daniel Sturridge, Didier Drogba and Romelu Lukaku all have quite a lot about them, proven goal scorers or promising young guns who should be playing ninety minutes of Premier League football every weekend. However, the formation which Andre Villas Boas seems set to use – one that has been the hallmark of Chelsea since the Mourinho years – does not cater to such an embarrassment of riches. While a few of the six named (Anelka, Kalou, Sturridge) are accustomed to playing in one of the outside positions made available in a 4-3-3, the central striking area remains one with no permanent occupant. 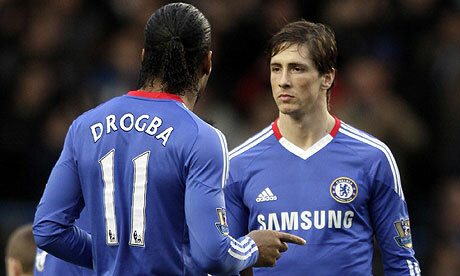 Last season, it was definitively proven that Drogba and Torres cannot play in the same team together – either Torres was played out of position or, when switched to 4-4-2, no cohesive relationship materialized – meaning that one or the other will end up benched. Now with Lukaku added into the mix, competition for places may border on the frantic, with mass rotation (the enemy of all fantasy managers) a likely result. Front men about to play West Brom at home tend to emit a Siren like song in the weeks preceding match day – it will be interesting to see what Drogba’s singing voice is like. I’m no Odysseus, but putting wax in your ears might be a good idea. Enjoy more of our fantasy content.